This is the album you’ve been asking for. In recent years, I’ve felt a weird sense of sadness when a new Pugwash album is released. I have no doubt about the quality of recording I’m likely to hear. I’m never disappointed. But at the same time, it will be for me another round of others griping to me about how melody and unforced pop hooks are no longer in supply in modern music. My insistence that Pugwash offers everything they’re looking for and more goes ignored. Complaining about the state of today’s arts seems more pleasurable than experiencing music that delivers. So we arrive at the release of Silverlake, the latest by Pugwash, which is a nom de plume for singer-songwriter Thomas Walsh. Across eleven tracks of sing-along, clap-along, truly catchy songcraft, the monarchy of pop-rock holds a coronation for a true heir, and at this stage of the act’s existence, I shouldn’t have to tell you this. Neither should I tell you the bands and artists that will be echoed in this music. I’ve said it on multiple occasions: Pugwash has earned the right to sound like Pugwash. There are, nonetheless, surprises to be had from the new album. Working mainly as a duo act with producer-multi-instrumentalist Jason Falkner, this edition is a bit edgier than the previous album, Play This Intimately (As If Among Friends). This is kept like a winning hand of cards, close to the chest, with the opening “The Perfect Summer.” It’s what we’ve come to expect from Walsh, with an immediately likeable chorus and a verse structure that invites you to sing along. Much like older songs like “It’s Nice To Be Nice” and “Answers On A Postcard,” you are being ushered into a unique and peculiar world where touches of psychedelia invade the feel-good A.M. radio waves. By the second song, however, there is a slight tonal shift at work. “What Are You Like” is a guitar-driven rock song that allows Walsh a chance to stretch out vocal lines for maximum impact. Falkner provides a guitar line and solo at the break that is reminiscent of Elliot Easton (The Cars), and the listener is put on notice. As terrific an album as Play This Intimately was, it went light on rockers. With Silverlake, we’re still firmly listening to a pop-rock album, but the artists are not holding back the surprise left turns. Need further proof? “Why Do I” has a rhythmic approach that verges on Field Music or Spoon’s most post-rock tendencies, and is capped with a skittering guitar break that calls to mind Richard Lloyd (Television). Walsh remains a premier balladeer, and the elegant “Sunshine True” and mournful “Such A Shame” only compliment this belief. Mostly, the album scratches that persistent rock and roll itch, and the penultimate track “Easier Done Than Said” finds Walsh in a late-’70s or early-’80s new wave vein, without the obtrusion of 50’s sci-fi keyboards. Much of the buzz that will encircle Silverlake will be because of Falkner, and a lot of it is deserved. In Falkner, Walsh has a collaborator that has seen much of the same landscape: forward-pointing rock music with DNA extracted from the sixties and seventies, a devoted cult fanbase and smatterings of personal success, but frequently shut out from the wealth of the limelight. There’s a reason why a few of Falkner’s solo recordings are only available in Asia, and why even after the applause Walsh received after The Duckworth Lewis Method (with collaborator Neil Hannon of The Divine Comedy), we still have to explain who/what Pugwash is to the layman. Yet, the heart of this album is Thomas Walsh’s songcraft, persistently asserting itself album after album. Silverlake is part of a discography that, again and again, astounds hungry listeners, provokes envy in other music creators, and triggers confusion in the faithful who must again try to explain all this to the audience that would appreciate it most. 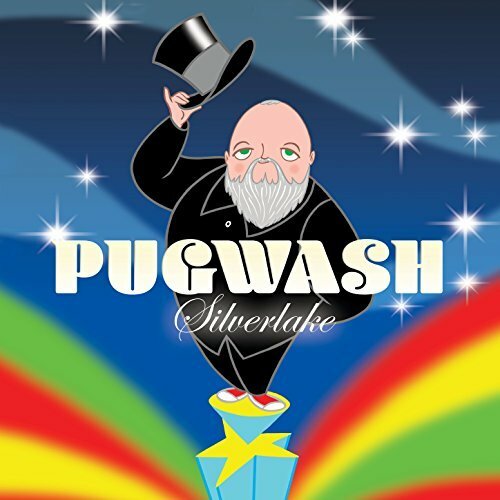 In other words, treat yourself to Silverlake by Pugwash. This really is the one you’ve been waiting for, and is way more enjoyable than another complaint about how they don’t make ’em like they used to.